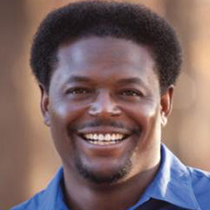 Pastor Derwin Gray shares how to create a culture of loyalty around your church leadership team. Whether you’re a high school soccer coach, a CEO of a multi-billion dollar company or a pastor of a 200-member local church, you want to create relationships based on loyalty. You want your staff to be loyal to the vision of the organization and to one another. How does that happen? I’m not really sure, but I am learning as I go. I think the real question is how do we create cultures of loyalty? I developed this acronym and have shared it with my church's leadership team. It’s really helping me. Loving Jesus in response to Him first loving us. This is our foundation for unconditional love, acceptance, identity, and security. Everything else flows from God’s loyalty extended to us. Yield to your leaders means you’re a team player who works in the context of the leadership’s vision and structure. Accept responsibility means that you own what you do and say. Learn always. Learn how to live from God’s unconditional love. Learn how to love others unconditionally. Trust your teammates means that you have their backs and they have yours. Assume the best of them until proven otherwise. You matter to God means that no matter how small you think your role on the team is, it matters to God and so do you. As I develop this more, I’ll share it.